On-set AI for the VFX industry and whats it mean for you. AI for VFX and whats it mean for you. Last year at SIGGRAPH there were a series of key talks and panels all discussing the topics of deep learning and examples of convolutional neural networks, generative adversarial networks and autoencoders. The panels discussed how deep learning and convolutional neural networks will be able to benefit the VFX and 3D design industries with everything from face and fluid simulation to image denoising, character animation, facial animation and texture creation. The panel was focused mainly on how these new tools will be changing the VFX pipelines. Doug Roble stated that the technologies are “scary tools when seen for the first time” although he went on to claim “you can use these to do visual effects in a completely brand-new way” showing the abilities of the new machine learning technologies. However, with these changes in the technologies there’s no denying that jobs will be displaced. But they will also be openings and a shift for jobs in the industry to the visual effect and programming sector. The use of machine learning within VFX gives the possibility of making models without the requirement for texturing, lighting and rendering, due to the computer knowing how to do these aspects itself. This would fundamentally change the way the VFX pipeline works and massively decrease the post production times on films. We’re closer to being able to have these opportunities because of the newly found data driven approach rather than the previous mathematical methods of programming and hand tuned algorithms. With the abilities of AI machine learning constantly developing it won’t be long before AI totally changes the VFX pipeline and possibly shifts it from post to pre-production as is the shift virtual production methods and on-set graphic systems. If the AI can edit a scenario by adding VFX we will be able to make the entire process real-time and cut out a large portion of post-production, cutting down production times and costs. They’d still be a lot of work within VFX but it’d be done before a shoot instead of afterwards therefore cutting times. 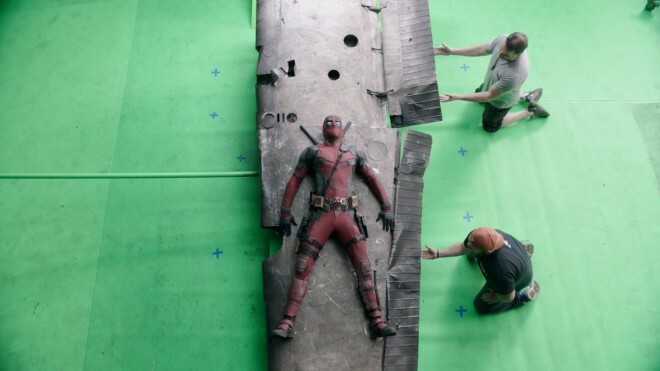 It would benefit actors due to them not having to imagine the VFX they could simply see them on a monitor and then react appropriately; Producers would enjoy the faster production times and less costs. Everyone involved within the production would benefit. DESIGNED & MADE IN BRITAIN © 2019 M&D Media Ltd. Realtime Pipeline™ realtimepipeline.com™ Realtime Machine™ On-Set Support™ OSF™ On-Set Facilities™ and onsetfacilities.com™ are all trademarks of M&D Media Ltd.